Gregorjevo is a Slovenian festive day, known as the day of love or the Slovenian Valentine’s Day. In Slovenia Gregory's day is also the unofficial first day of spring. 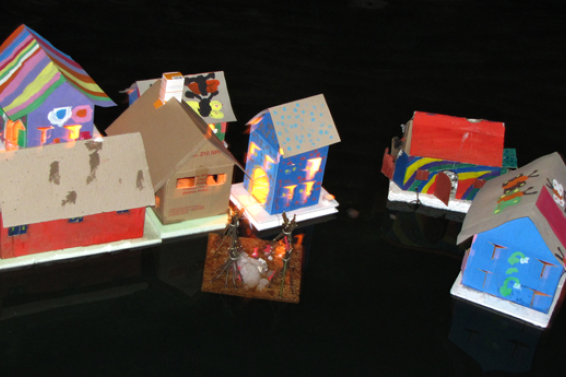 It is common to build a small boat from wood, paper and other biodegradable materials, put a small candle on the boat and release it down to the river to mark this occasion. People believe that by releasing boats, you also release all the negativity and cold from the winter. Gregorjevo was named after St. Gregor or in English St. George, he was known as the one, who brought the light on the first day of spring. Old women often say that Gregorjevo is the day when “birds get married”, if you look at the sky and wait for the first bird to fly past, they believe that the bird you see reveals the character of your future husband. The event in honor of the fest Gregorjevo will be held on March 11th at the Embassy of the Republic of Slovenia at 4:30 PM. At 5:30 PM there will be organized transportation to the city center along the river Spree (Adele-Schreiber-Krieger-Straße). 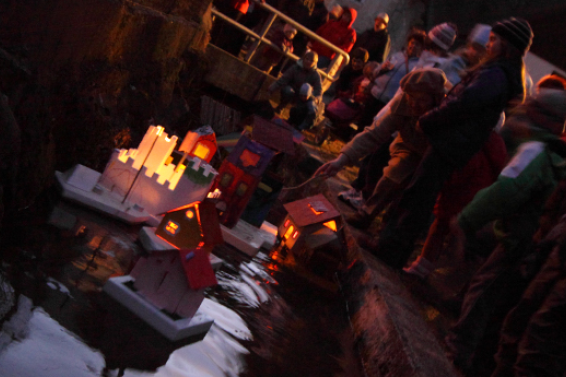 Don’t forget to build and bring with you a small boat from wood or other biodegradable materials and put small candles on the boat as they will all be released together. Cultural Section of the Embassy of the Republic of Slovenia in Germany maintains and intensifies contacts with Germany in the field of culture and education. The Embassy promotes Slovenian artists in Germany, and cultural exchanges between the two countries and helps establish contacts between artists and institutions of both countries and encourages the promotion of the Slovenian language in Germany.